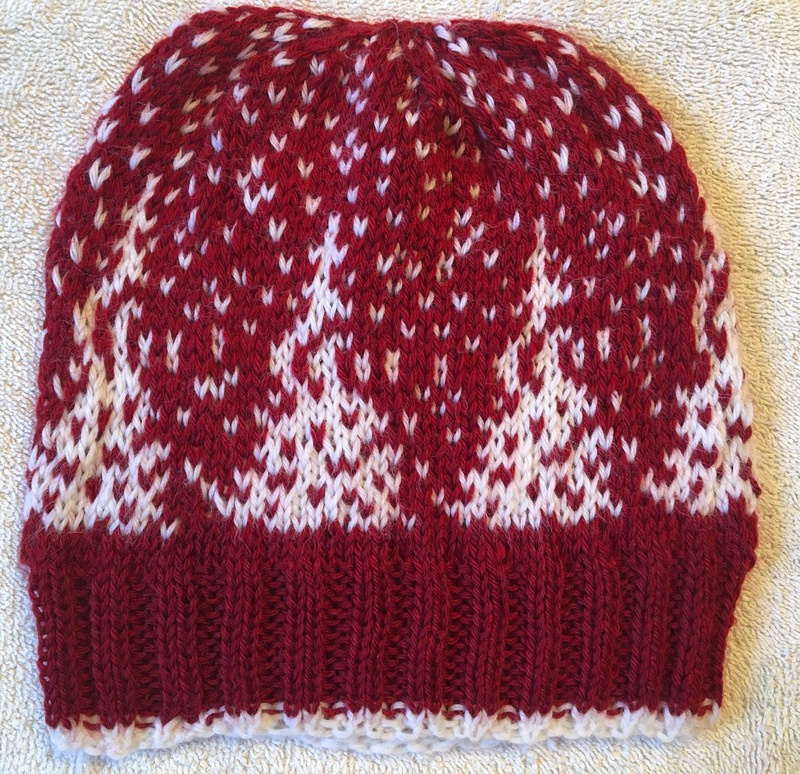 I came across this pattern on Ravelry and just had to make it. 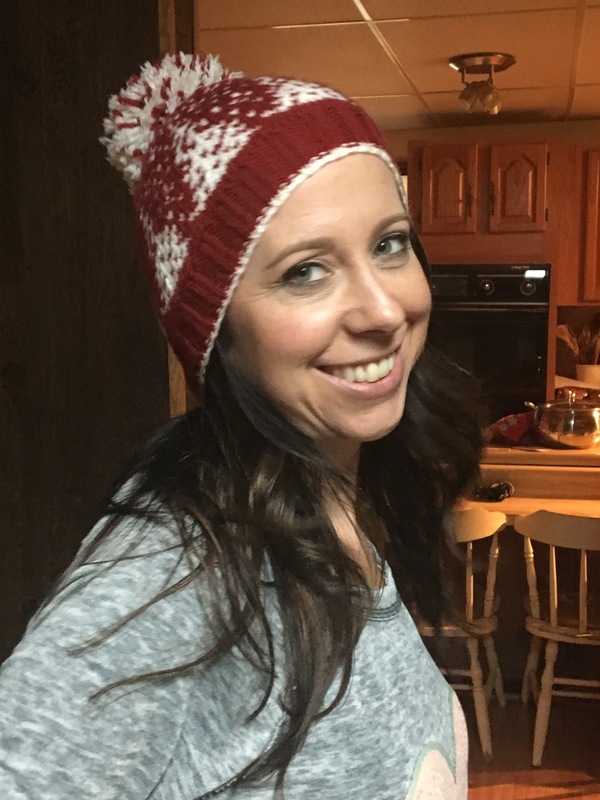 It is called the Snowfall Hat. My mom is drawn to anything with cables and I am drawn to colorowork. I just love it. When I started this one my mom instantly said it was hers. Of course I agreed. It looks great! 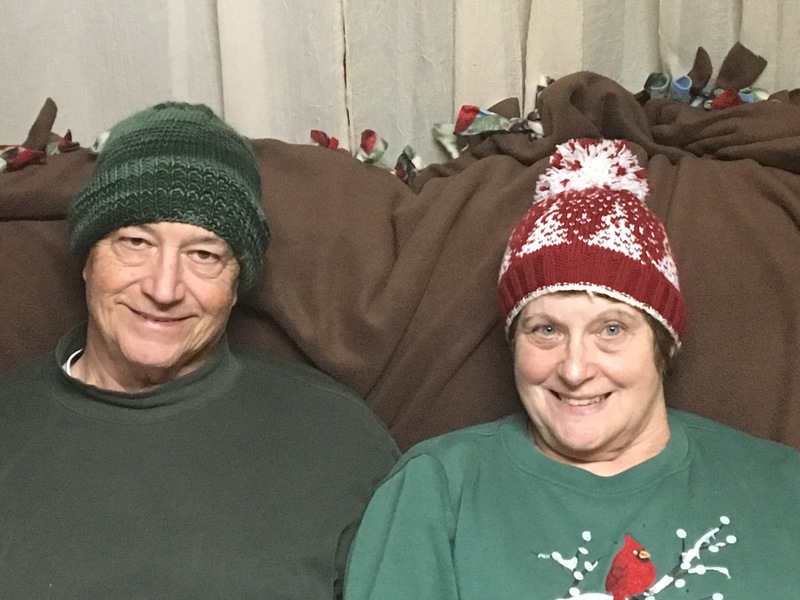 My mom and dad modeling hats. Mom made my nephew a simple beanie and dad was trying it on for size. They look great. Of course I couldn’t leave out my little sister. She loves having her picture taken. The Pom Pom on the hat really finishes it off. Previous Article Chicken Soup on a Cold Day!